ADC România presents on 14th of December ADC Focus on Impact - an inspiration session raising the question: “Do we truly create for people?”. The conference will take place at ARCUB Gabroveni, Lipscani 84-90, starting 5 PM. With a passion for technology that came through his first experiences on the client side, Kris has helped marketers enable better connections with consumers, as evidenced by his work in building some of the first online cinema experiences in the late ‘90s for Kinepolis, and kick-starting some of Microsoft’s first influencer marketing activities in the early 2000s. 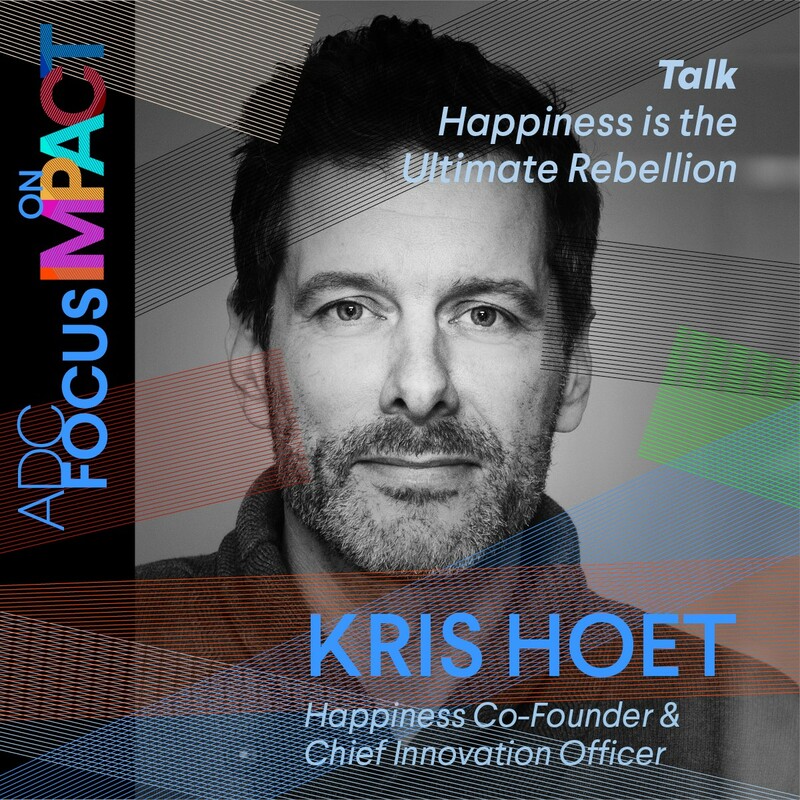 Before joining Happiness, Kris was part of the management team at Duval Guillaume, the agency responsible for internationally renowned advertising classics such as TNT’s “Push to Add Drama” and Carlsberg’s “Bikers.” The agency’s viral work made history, generating over 100 million views. During his time there, the agency became Digital Agency of the Year twice and was elected Agency of the Year for three consecutive years after that. Kris joined the creative connectivity agency Happiness as partner in 2015, which now has offices in Brussels, Belgium and Saigon. During the same time, the agency became part of the FCB network. Happiness has been featured in Taschen’s Cannes Lions Game Changers book and has won numerous awards, including the Grand Prix at Cannes Lions and eurobest. The agency’s work is even featured in London’s V&A Museum. He is also an avid mountain biker and a self-proclaimed “petrolhead,” with a special love for vintage cars.